“Science, is not a subject, it’s not content and it’s not a device – it’s a way of thinking. 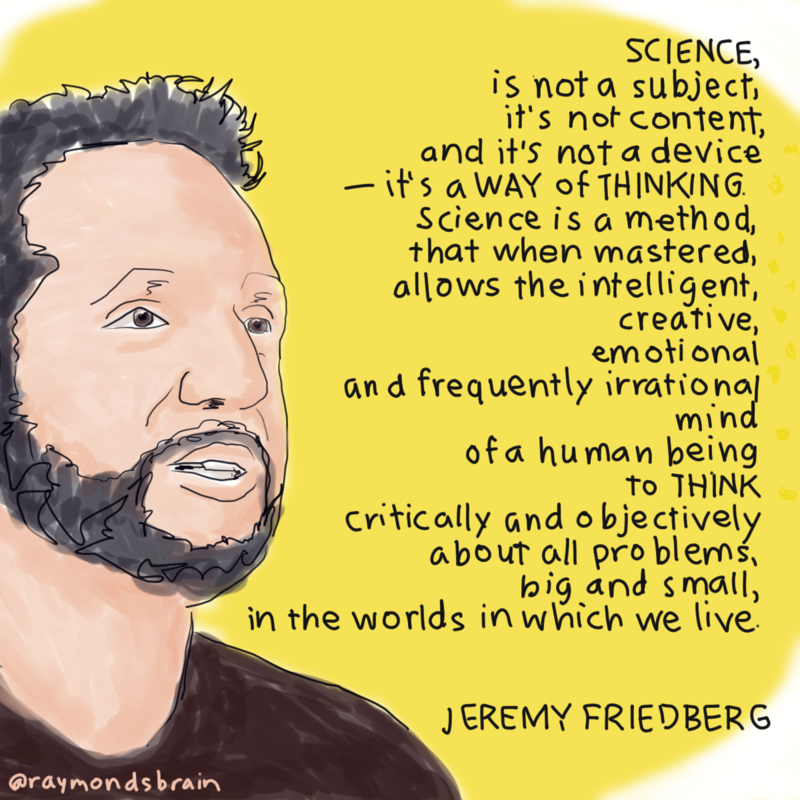 Science is a method, that when mastered, allows the intelligent, creative, emotional and frequently irrational mind of a human being to think critically and objectively about all problems, big and small, in the worlds in which we live.” – Jeremy Friedberg, scientist, educator, educational game designer. Originally posted on September 13, 2016.